New Xenoblade specific Japanese Direct will walk us through Monolith’s latest magnum opus. 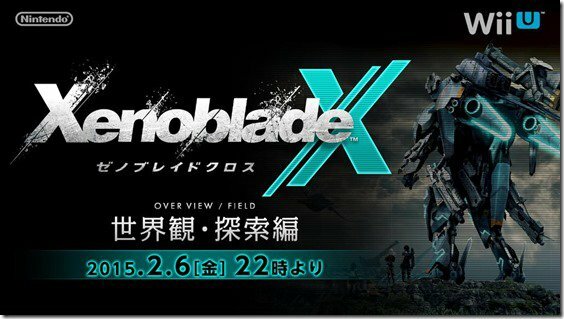 Monolith Soft’s Xenoblade Chronicles X, the absolutely amazing and highly ambitious looking Wii U exclusive role playing game, is almost out (it releases in Japan in April, with a release in the west following shortly afterwards), and Nintendo is determined to not repeat the mistakes with this game that it made with the original Xenoblade Chronicles. Unlike the original game, Nintendo will throw all of its marketing muscle behind X, and to that end, they will be broadcasting a presentation dedicated to just the game in Japan later this week, where they highlight one of the game’s true strengths- its massive, massive, and stunningly well realized world. With the game confirmed to have a seamless open world, with no loading screens (just how did they accomplish this, and on the Wii U, of all things? ), that might be a presentation to behold. Happily for you, we will keep you updated and posted on it. Stay tuned.